In Baltimore, there is always something going on. This upcoming weekend, there are many different events you can check out and enjoy the city at the same time. 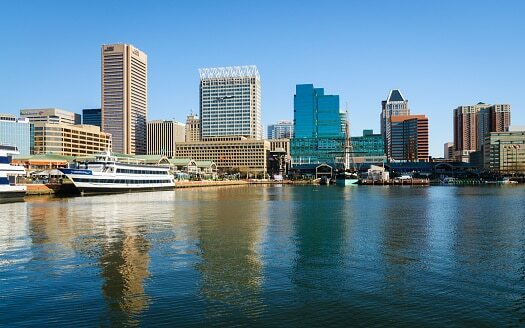 Check out some of the highlighted weekend events in Baltimore below and plan out your fun-filled weekend! If you enjoy jazz music, you will not want to miss these two nights of jazz inspired music and the celebration of Django Reinhardt. The celebration will feature musical guests on both Friday and Saturday night. There will even be musical fireworks. You can only purchase tickets in advance so click here to get yours. Some of the artists featured at this event include Ultrafaux & Friends, the Rhythm Future Quartet, Mary Alouette and The Crew, and Stephane Wrembel. During this festival, there will also be Saturday afternoon workshops offsite that you can find here. This kid friendly show is perfect for the thrill seeker who wants to see big monster trucks do some tricks. It is a very popular show and this year, it will be in Baltimore for four different shows, two of which are on Saturday. If you have a love for monster trucks and want to see an awesome show, make sure you get your tickets before they sell out by clicking here. You may be unaware, but February is World Sword Swallowers Day and to celebrate such an odd day, Ripley’s Believe It Or Not! will be hosting free sword swallowing performances. They promise that the swords are solid steel and that everything you see will be real. Sword swallowing is an ancient art and this is the perfect event to take your children to or to simply see for yourself. There is no charge for the performances but to enter the museum, you will have to pay the admission fee. This is the event to go to if you enjoy classical music. During this event, guests will listen to classical music in a new way. The conductor will take you through many emotions and show you an unseen side of classical music including some of the scandals and secrets. This is not your typical classical music show. It is better. It is described as laid back and fun and it is worth a try, especially if you are a fan of classical music. All month long, the B&O Railroad Museum has a special exhibit specifically to celebrate Black History Month. This is perfect for individuals of all ages so that you can learn more about the history of our nation as well as what African Americans have done to contribute to the railroad industry. You can purchase tickets to this exhibit at the B&O Railroad Museum or online here.